Disney Movie Lines – Cinema Sunday will return next week! 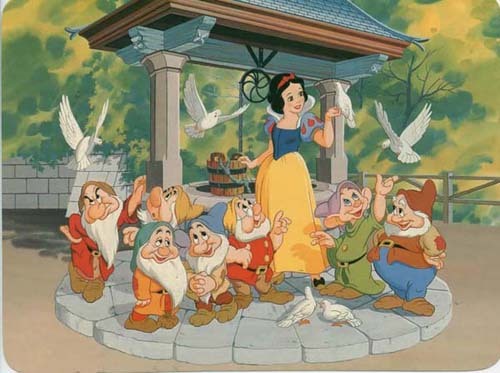 Today, we’re learning from Disney that even the hard working Seven Dwarfs took some time off once in a while. 😉 So, we’re all enjoying the last weekend of summer. Hope you are having a wonderful Labor Day weekend! Join us next weekend for an awesome Disney Movie Lines post from Disney Dad Angelo! Learning from Disney: Even the Seven Dwarfs took a day off once in a while. This entry was posted in Family Life, Holidays and Birthdays and tagged 7 Dwarfs. Bookmark the permalink. 2 Responses to Happy Labor Day Weekend! Have to say Kaylene, I love that photo of Snow White and her boys! Bright, lively and colourful!! Thanks for sharing!